“This is even his first performance in Tema, we can’t wait for his second” said an elated Tema resident who was stuck around the stage 30minutes after Shatta Wale had left the Tema Sports Stadium. 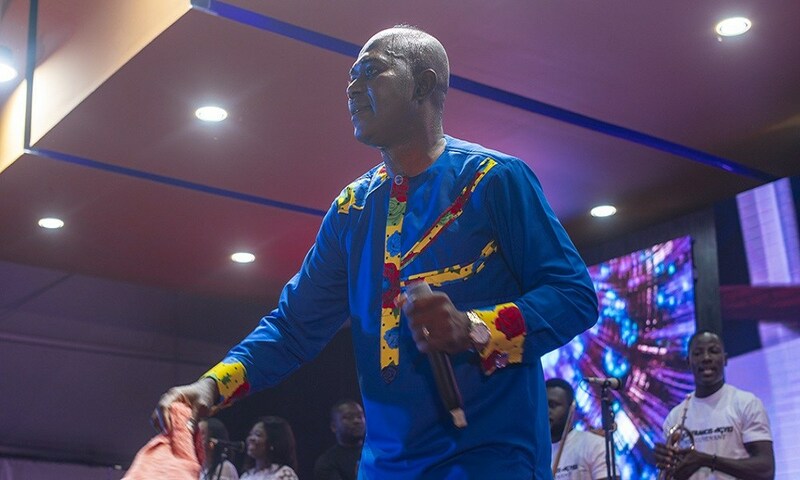 The night in Tema was one that would forever be remembered by the residents who attended the event. People came from Ashaiman, Nungua, Lashibi and Tema Newtown to witness their dancehall king in full flight and they weren’t disappointed as Shatta Wale put up a charged up performance. The SM4Lyf fans roared at each song performed. Even songs that were having zero radio plays were sung word for word by the fans. You would have thought that they were part of the songwriting process. The adrenaline at the Tema Sports Stadium on Sunday dawn was very befitting of the concert’s name, the Untamed Energy Concert. 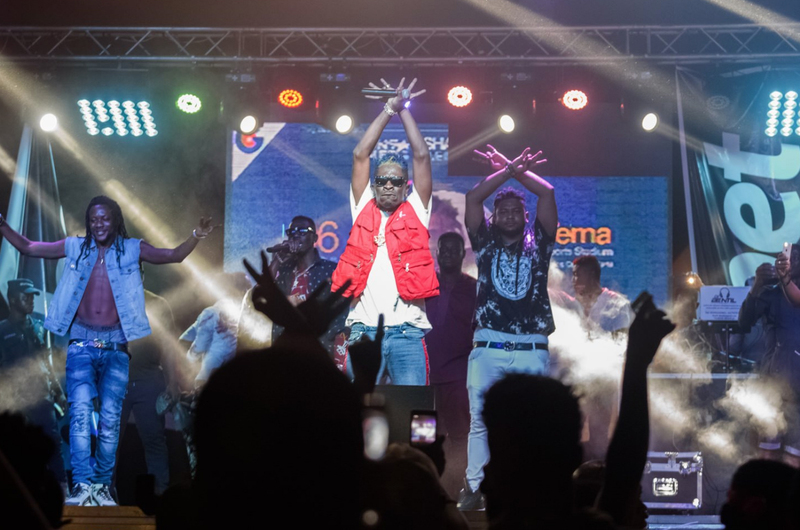 The Untamed Energy Concert headlined by Shatta Wale started around 10pm with around 50 people in the arena. The number was due to the concert goers rejecting the price of a ticket. “This is a stadium concert” said one dreadlocked guy who wanted the price reduced to Gh¢10. You would have mistaken the mini public school park across the Tema Sports Stadium as the event ground as it was filled up with many people who wanted to attend but got held back by the tickets. Performances from upcoming artistes preceded the main event. When the main event got going Eno, CJ Biggerman, Grey, Teshie Boi, etc stimulated the music buds of the attendees who had now filled up half of the stadium. More music acts in Tema could have been added to the list as Stay Jay, D Cryme, Kwesi Arthur and b4Bonah all reside in Tema. Things were moving fast. Things moved much faster when Maccasio mounted the stage. Say what you want about the north and their artists not being known down here in the south but believe you me, Maccasio has a huge following. On the night that Maccasio had just released a new song with Tema artiste Mugeez, the artiste from the north was hailed throughout his performance. His following will rival any top artist down south, any! When the crowd saw the SM Militants on stage, man, the decibels were increased! Addi Self, Captan and Joint 77 took their turns on stage to prepare the stage for their SM4Lyf boss. When they were done with their individual sessions, music group Keche mounted the stage. The hiplife group who is out with a new song ‘Next Level’ thrilled and performed songs that the crowd jammed to. They performed their new song to some great reception; the year looks good for them already. Then came the moment the attendees, who were now in the thousands after the gates had been made free, had waited for. 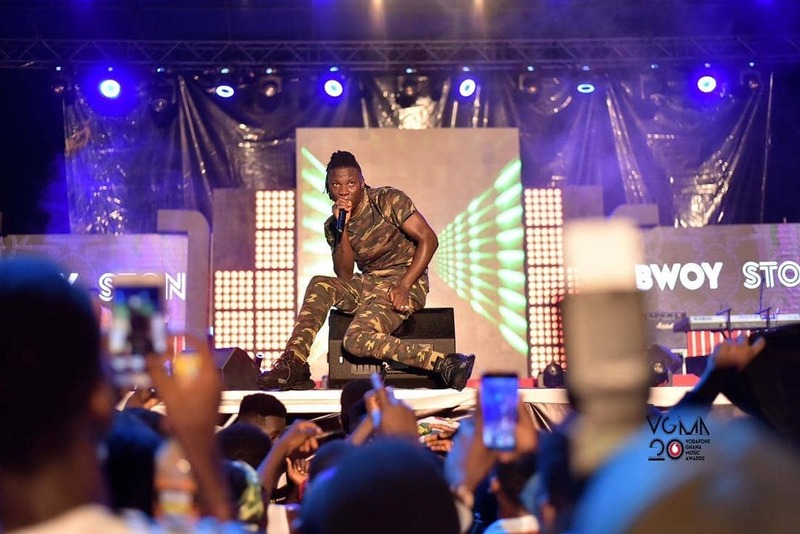 Back to back hits were dished out to the Tema concertgoers on a night that they will forever remember as the day their dancehall king sat on his throne in their backyard.